Disk Conversions & Transfer - 1-step zip disks recovery - Worcester, Worcestershire. Two Iomega One-Step Backup ZIP disks were received by recovery. The data was stored in files with .1-step extension. PC100 containing images that I needed to recover. The customer indicated that the data was held in iomega step 1 backup format and required help with data recovery and transfer to disk in windows format as he was unable to. The 1-step backup software was no longer made and had not been sold for many years. The disks contained mainly photo backups. If you need a 1-Step Backup Zip Disk File Recovery service, then contact our friendly company. Free quote and consultation by telephone or email (contact details above ). We strive with all our means to get your data back quickly and efficiently, so email or call us to discuss your problem. We recover from many problems so even if you don't see your trouble mentioned, we probably do it or know someone who can. problems that we recover data from are listed below. 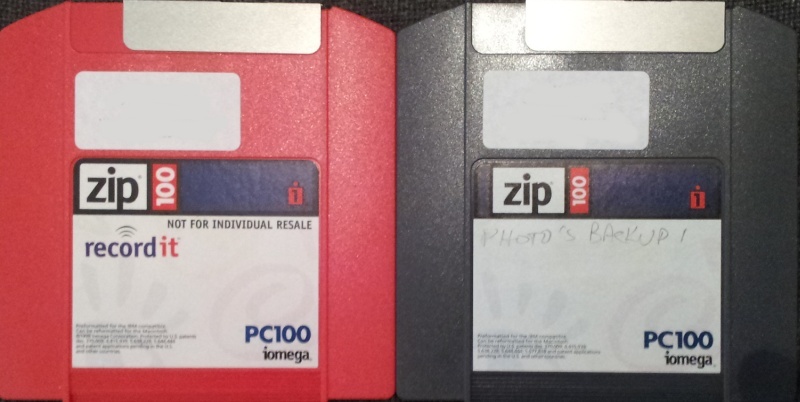 Two Iomega One-Step Backup ZIP disks were received by recovery. The data was stored in files with .1-step extension. PC100 containing images that I needed to recover. The customer indicated that the data was held in iomega step 1 backup format and required help with data recovery and transfer to disk in windows format as he was unable to. The 1-step backup software was no longer made and had not been sold for many years. The disks contained mainly photo backups..